Happy Leap Day! As Leap Years do not come around often, we’re taking the extra day to make a ‘leap’ of love and share 29 reasons why DD fans keep us running. You see, each and every day, DD fans surprise and delight us. 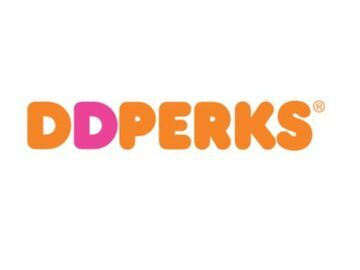 From special Dunkin’ Donuts tattoos, to proudly proclaiming their love of iced coffee year round, or documenting that all-important Dunkin’ run on their wedding day, there’s a lot DD fans do that make us – and hopefully you too – smile. Enjoy! (1) They’re not afraid to showcase their love for Dunkin’ with a sweet tattoo. (2) They genuinely enjoy telling us about what they’re drinking to get their day running. 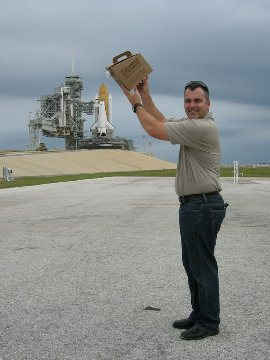 (3) They know that DD Coffee can help them accomplish great feats, like fueling a space shuttle. (4) They live their lives “Like A Boss,” and proudly eat breakfast like one. (5) They talk the talk and add “DD’s” to their worDDs. (6) They know that some days, only a truckload of DD Coffee will do. (7) They’ve been known to pay it forward by purchasing DD coffee for the person behind them in the drive-thru. (9) They’re crafty and put the “DD” in DIY. (10) They proudly proclaim their love of iced coffee year-round – even during the winter! (11) They’re quick to show off their customized DD Card featuring their favorite photo. A big thanks to DD fan Shalaina in Upstate NY and her "extremely hot" group for sharing this photo with us! 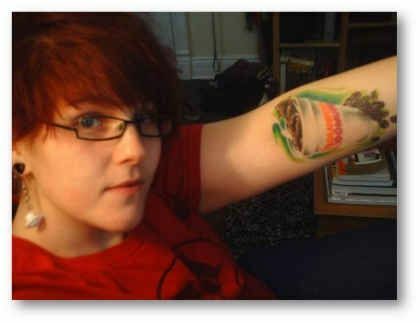 (13) Their road trips run on Dunkin’ and they’ve been known to map out the DD restaurants along their road trip route. (14) They’ve taken their love of DD Coffee to new heights by savoring one of the more than 28 million cups served aboard JetBlue. (15) Not only are DD fans sweet, sometimes they’re downright romantic. 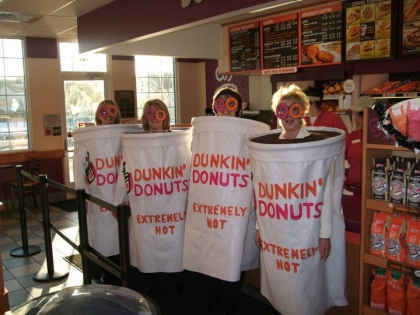 (16) They’re very committed to their favorite local Dunkin’, sometimes to the point of reigning as the Foursquare Mayor. (17) They love entering our Twitter contests, or tweeting with @DunkinDonuts for a pick-me-up to keep their day running. 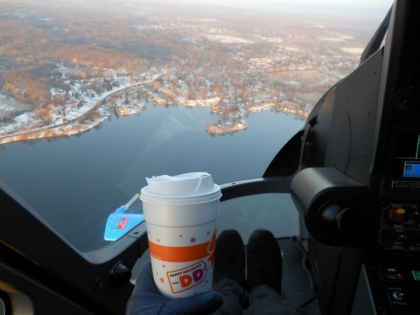 (18) They know that DD Coffee can take them to new heights. (19) In addition to drinking DD coffee, they sneak it into delicious recipes to surprise and delight their favorite people. (20) They love iconic “Time to Make the Donuts” commercials, and not-so-secretly wish they were the Manager of Donut Excellence on Dunkin’ Donuts’ in-house culinary team. 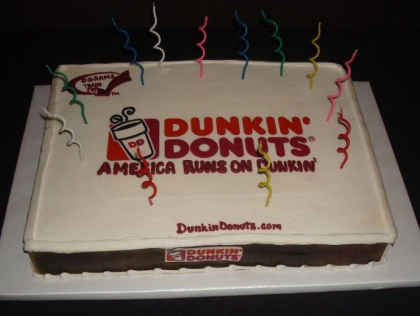 (21) While their birthdays run better with a free medium beverage, courtesy of DD Perks, sometimes DD fans go the extra mile with a homemade Dunkin’-ized birthday cake. (22) They enjoy being able to snack all-day, everyday at Dunkin’, including the ability to make better-for-you choices with our DDSMART menu. 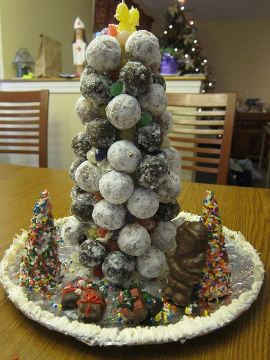 (23) They love getting a sneak peek inside our office, which is affectionately called The DD Mothership, on Pinterest. 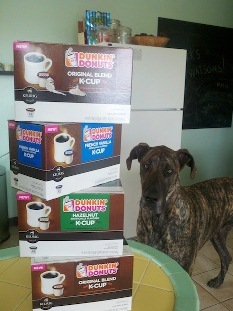 (24) They know that sometimes you need a watchdog to look after your Dunkin’ K-Cup packs. 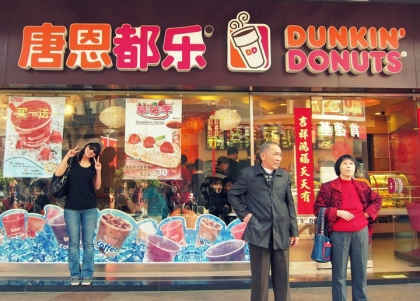 (25) They love that from Boston, to Berlin, to Shanghai, you can get the same great cup of Dunkin’ Donuts Coffee, and more. 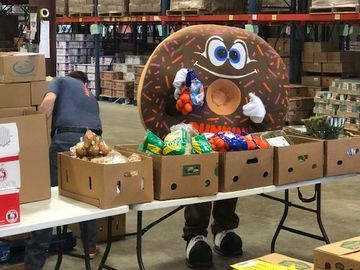 (26) While there are more than 15,000 ways to order their coffee and over 52 varieties of donuts, DD fans can quickly tell you their favorites. 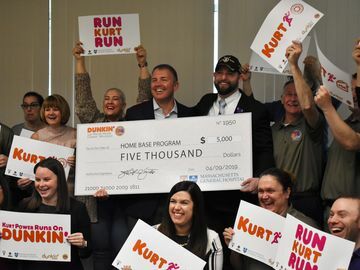 (27) They love visiting our more than 3,000 international Dunkin’ Donuts restaurants around the world and sharing photos of their visit with us. 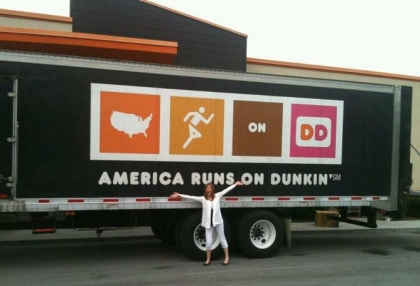 (28) They’ve made a pilgrimage to our original Dunkin’ Donuts restaurant on Southern Artery in Quincy, Massachusetts. 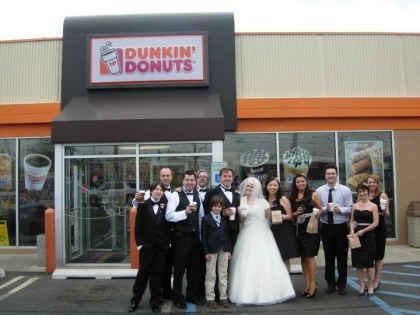 (29) They’ve been known to make a pit stop for a “light and sweet” after a long, but amazing wedding day. 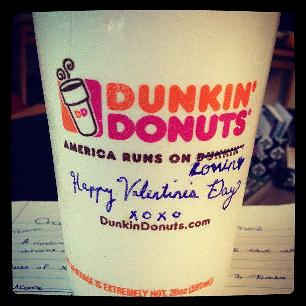 Thanks to DD fans Kevin & Jen for Sharing Their Special Day with Dunkin' on Facebook! For more Leap Day fun, follow us on Twitter today! For a chance to win one of ten $29 DD Cards on Feb. 29 between 9:00 a.m. and 5:00 p.m. EST, tweet @DunkinDonuts a valid answer to “What Are You' Drinkin’ on Leap Day?” using the hashtag #LeapDD. For official terms and conditions please click here.